Every year Sunset Magazine collaborates with local builders and suppliers to show off the latest trends in architectural design, interior decorating and home technology. 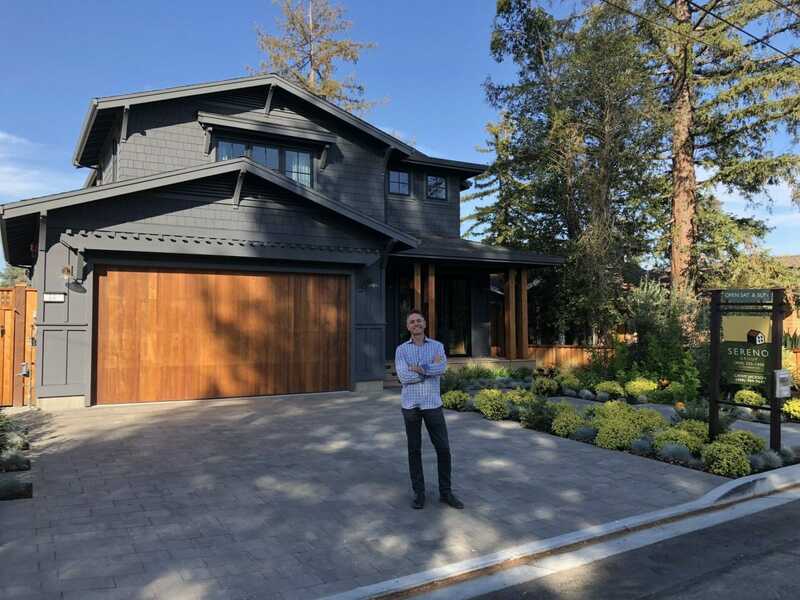 It is not the first time Sunset Magazine has chosen Los Gatos, CA to build one of their iconic homes, and this year they’ve done it again. They’ve also chosen to collaborate again with DeMattei Construction, and together they built what looks like a traditional Craftsman style home. However, once you enter this home, you quickly realize it is anything but traditional. As we walked through the house, we discovered cutting edge light switches, gorgeous full wall doors, swanky fixtures and accessories, lush materials, square toilets, designer wallpaper, custom tile work, living art and more!! We were absolutely blown away by all the fantastic, creative ideas we discovered in this beautiful, modern, cutting edge home. Take a look at the video below to see our tour of the home and our discovery of many of the homes outstanding features. If you like what you see, please do not hesitate to give us a call as Sereno Group has this wonderful home listed for sale. Love the Sunset Idea Home! Continuity on point! Brian you are a natural, Love it!